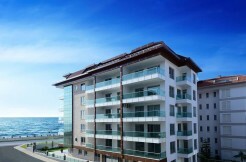 Documents | Your real estate agent in Turkey.Rent Apartment in Alanya. The Turkish property market is growing day by day. There are literally 1000’s of properties for sale in Turkey and 100’s of real estate agents. All will tell you different things and give different advice. We believe that our strong point is our longevity in the market, our knowledge of Turkey and experience in dealing with over 2,000 property transactions. We advise that you conduct your own thorough research into which region in Turkey best suits your needs, budget, and expected lifestyle. We will also provide you with diligent and frank information on all regions of Alanya. We shall also refer you to best sources for legal and technical matters involved in buying in Turkey. When looking for a home in Turkey, we advise you to check testimonials of different websites, compare different property agents and seek longevity in a property developer or agent. If they have been around for a long time, chances are they are solid and credible agents. Make sure they understand you and your requirements. If you ever get the feeling that they are reading off a memorised sales-pitch (and there are many of them around), then chances are they are. Move away. They are not the right agents for you. Buying an overseas property is for most people more of a lifestyle choice than just bricks and mortar, so the agent you are dealing with ought to understand and appreciate the lifestyle you are seeking to attain. If they can’t, then they will not have much chance of guiding you toward the right area and type of investment. Remember, Turkey is a huge country, larger than France, four times the size of the UK, so there are big differences from region to region in terms of climate, culture and landscape. Only a knowledgeable and empathetic agent will be able to consult you in the right direction. Some of us are shy of picking up the phone and talking to property agents. We do not like ‘being sold to’ and as such we try to avoid putting ourselves in circumstances, where we might be confronted by a ‘pushy’ sales person. This is very natural, however, if you can’t talk openly and at length with your agent, then your agent will not be able to understand your needs and preferences. Without fully understanding your requirements your agent will find it difficult to source the right property for you. So, the key is once you feel you have found a genuine agent (possibly having gone through several), who is able to assist, then invest your time in talking to them at some length. Get to know them and let them get to know you. This is key to establishing the right rapport which will in turn help and motivate your agent to do his/her utmost for you. This rapport will follow you all the way to Turkey and hopefully well after you have successfully purchased your new home in Turkey.At Buy Home Turkey, we put much importance to building a strong rapport with our clients. We don’t have a pitch in front of us or a pre-defined property that we want to sell to you. We want to listen to you first and then together we can decide where to look and what type of property would be most suitable for you. We like to understand your requirements and search in depth for unique and special homes that will meet the same. Therefore, you need to help us help you find that special place in Turkey. The old saying, ‘seeing is believing’, really can’t be truer when describing Turkish property. In order for you to successfully make a decision on whether to buy a home in Turkey or not – you will need to visit Turkey, get to know the surroundings, try out the local restaurants and cuisine. At Buy Home Turkey we don’t just sell you a property then leave you in the lurch, we like to sell you a lifestyle, a dream location and idyllic surroundings for you to feel comfortable and at home in. If anyone tries to sell you a property on the phone and without seeing it, feeling it, touching it, then beware. That’s not the way to do it. A professionally organised and put together inspection trip with a reputable company will help you in your property search to a great extent. We recommend at least 4 days dedicated to seeing various homes with us, sorting our paperwork, and getting accustomed with local scenery and lifestyle. During your inspection trip with us, we will ensure that you visit as many properties as possible in as many locations as possible and reflecting a large price range to make sure that you really do get your value for money. During our initial talks on the phone, emails and possibly face to face meeting prior to your viewing trip, we will have scoped out and marked plenty of homes and real estate in Turkey for you to see. After all, buying a home in the sun is a big decision to make – we want to ensure you make the right decision. That’s why we spend our time building a very good rapport with you. Whether you are buying a villa in Turkey or an apartment, at Buy Home Turkey we will always negotiate on your behalf to ensure the best possible price and terms are achieved. We can secure significant discounts at times from developers as well as private sellers. This is our job, as your consultants representing you, we will do our utmost to secure the best deal possible for you. When budgeting for your purchase, please always keep in mind that although much lower than Spain, France and Italy, there are incidental costs associated with purchasing property in Turkey. Take these into account so you can budget accurately. Please rest assured we will advise you accordingly. Once you have found your dream home, villa, or apartment in Turkey, we will then reserve the property for you so that we can proceed with the purchase process. The cost of reserving real estate in Turkey is generally around €1,000 (Euro 1,200) and is non refundable. This amount is given to the seller as a reservation deposit and it gets deducted from the agreed purchase price. However, if having reserved the property, you then decide not to proceed with buying it, then strictly speaking the reservation deposit is lost. The easiest way to purchase a property in Turkey is by granting power of attorney to a solicitor in Turkey to conclude the deal on your behalf. This saves you a lot of time and ensures that your purchase will be as smooth as possible without any hitches or hiccups. At Buy Home Turkey we have worked with many qualified and highly recommended solicitors and will introduce you to a lawyer during your inspection trip. After signing contracts, the purchase should take around 4 weeks to complete. Your appointed lawyer (solicitor) will during this process make all necessary checks on the property – including title check, municipality check, and military clearances to guarantee that the property is freehold registered in your name. 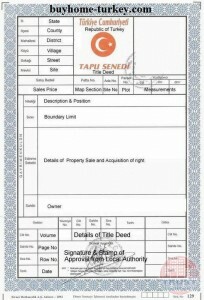 The final step to complete your real estate purchase in Turkey is registering your TAPU (or title deed). 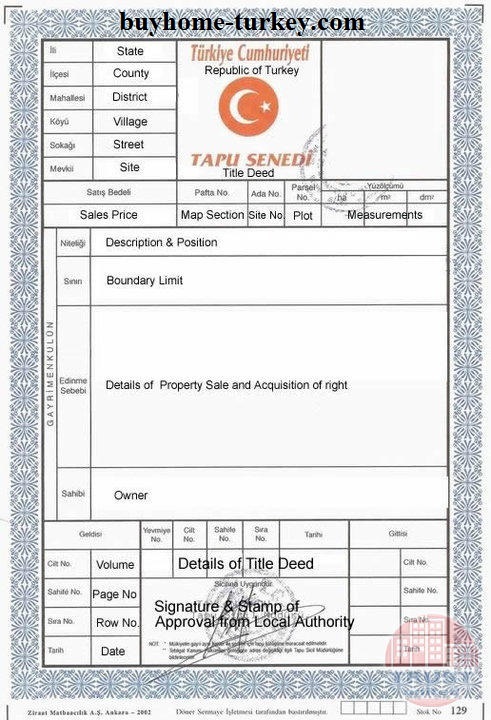 Once we have secured all paperwork and both sides have carried out their contractual obligations – your home will be registered to your name and you will receive the title deed (TAPU) to your new home in Turkey.So this is our easy guide to buying a property in Turkey. Of course we are always happy to chat with you over the phone or email about your property requirements and any questions you may have regarding your purchase of real estate in Turkey. If you have any questions you may need answering, don’t hesitate to contact us at any time.